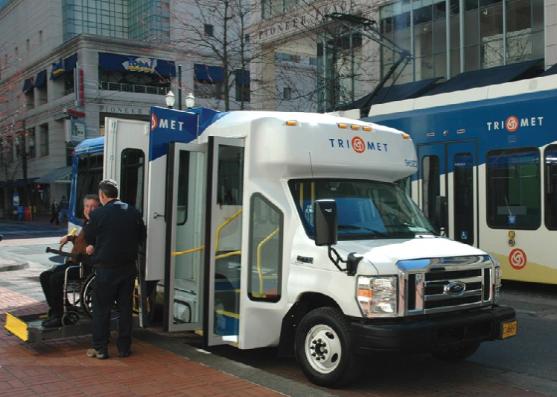 TriMet provides transit service to get anyone, no matter their ability, where they need to go. Our transit service is one of the reasons The Insider, this year, named Portland one of the ten best U.S. cities for wheelchair-accessible travel. 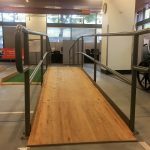 All of our buses and trains are accessible, and for those who are experiencing a disability or a disabling health condition that keeps them from riding our fixed route service, our LIFT paratransit service is a lifeline. LIFT is a door-to-door transit service, available to individuals who are unable to access or ride our buses and trains. It is operated by First Transit, in partnership with TriMet. Every year, more than a million rides are taken on LIFT. With LIFT, our riders enjoy greater independence and a stronger connection to their communities and the world around them. Oralia lives in an affordable housing complex for seniors in Northeast Portland. Since moving to the area, she’s taken a few rides on TriMet buses, but her daughter always traveled with her. “They feel that I can’t go by myself on the bus,” she said. Before she could take her first ride, Oralia needed to qualify. Because our buses, MAX and WES trains are fully accessible to seniors and people with disabilities, LIFT eligibility must be pre-determined. 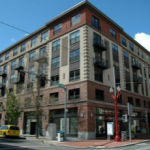 The application process includes an in-person interview and assessment at TriMet’s Transit Mobility Center. The purpose is evaluate the best transit option based on an individual’s abilities. 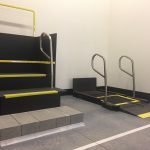 Travel training is available for those who don’t qualify to use LIFT, through our partners at Ride Connection. Oralia qualified and started planning her first trip. She needed to pick up a prescription. She also plans to use LIFT for doctor’s appointments and trips to the grocery store. Advance reservations are required to use LIFT. Riders understand that to accommodate other passengers, LIFT vehicles may stop and travel in other directions during a trip. Pick up times may be negotiated, but may not begin more than one hour before or after a desired departure time. Our LIFT paratransit service meets and exceeds the guidelines of the Americans with Disabilities Act. It states in part that “no otherwise qualified disabled individual shall, by sole reason of such disability, be excluded from the participation in, be denied the benefits of, or be subjected to discrimination in programs, services or activities sponsored by a public entity”. 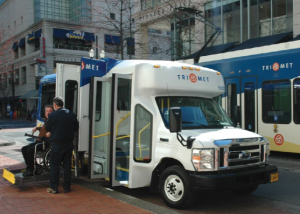 TriMet is committed to respecting the rights protected under the Americans with Disabilities Act as part of our mission to provide valued transit service that is safe, dependable and easy to use.